Today was my first day back at Toastmasters after a long hiatus. 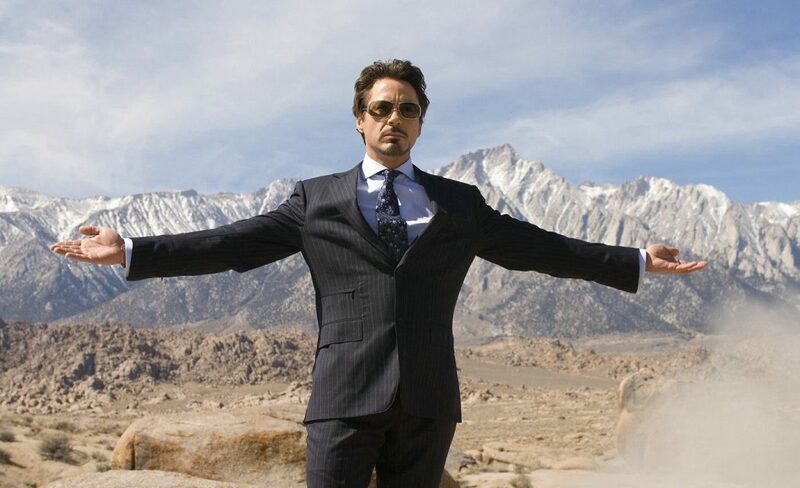 They tapped me to be an evaluator for someone giving a technical presentation and the speaker was supposed to leverage the power of visual aids. I’m sure you’ve all seen situations where the speaker focuses more on remembering the words from their notes and less on generating a response from their audience. They haven’t quite become zombies, but you can tell that they are talking at their audience, not engaging them. Incidentally, I also hear this when sales people do prospecting over the phone. The caller is more concerned with adhering to their script than they are with engaging their audience, which doesn’t leave a lot of room for building a relationship. Usually, I’ll look around the audience and watch what other people are doing. Are they doodling? Are they dozing? Or are they hanging on the speakers every word? Public speaking is a form of human communication and it involves a symbiotic relationship between the speaker and the audience. If the speaker is connecting with her audience, then the people in the audience will respond favorably and show it through their behavior. The speaker sees the impact she is making on the audience and that feedback reinforces her own behavior and speaking style. However, if the speaker is not tracking the audience’s behavior, she ends up talking at her audience rather than to them. She becomes an information spigot and the audience learns nothing because there was no emotional involvement. On this day, my speaker this day was encouraged to augment his presentation with visuals. So, I outlined five things that all presenters should keep in mind when using visual aids in their technical presentations to keep their audience engaged. Use your visual only when you need it. Remember, as the speaker, you are the message, not your visual aid. Your visual is a spice that adds a delicate flavor to the main course of your presentation. Don’t make it the main course. Keep the main thing the main thing, which is you, and bring out the visuals only when you need them. Hold it so everyone can see it. There is a reason we use the word “visual” in the term “visual aid”. If your audience can’t see it, then it’s not doing its job. Make sure your visual is high enough and big enough so that everyone can see it. Again, you are the message, not our visual. Make sure that you have center stage. You can’t do that if you are hiding behind your visual. You’ve all seen it on the SAG awards or on the night of the Oscars. Recipients of the award are so overwhelmed with emotion that they stand at center stage and thank everyone they know, all while gazing longingly at the award! Your relationship is with the audience, not with your visual aid. You want your audience to respond to what you are saying. However, they can’t do that if you are in a private conversation with your visual enhancement. Talk to your audience and maintain your relationship with them. Get rid of it when you don’t need it. Nothing can drag your presentation down faster than using your visual aid when your presentation has moved beyond it. When you are talking about your current point, the visual aid acts as an enhancement. When you move to the next point, a leftover visual aid act as an anchor. It divides your audience’s attention between your current point and some other past point. Remember, you are the message. If your visual enhancement isn’t helping your current message, it’s a distraction. Get rid of it. How do you use visual aids in your technical presentations to keep your audience’s attention? Get additional presentations ideas from this presentation update. Enhance Your Next Technical Presentation. Download Maximum Impact Today. Need more ideas on delivering technical presentations? 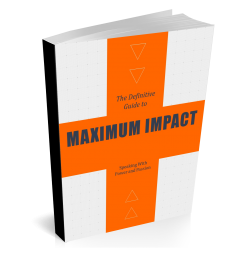 Download your copy of Maximum Impact today and use these 4 public speaking strategies to deliver a technically sound, yet compelling message. Simple and clear instructions for presenters. I guess this holds equally for one to one sales presentations where the sales person uses a book or brochure as visual aid. You are correct. It comes down to controlling the environment as much as possible. When you are working to get and keep your prospect’s attention, you don’t want to compete with your visual aid. Remember, you are the message. Everything else, from your clothing to your collateral, should accent you. I’m willing to bet that you use a lot of these ideas when coaching people to use power point presentations.